Speed Queen is the world’s number 1 industrial laundry. 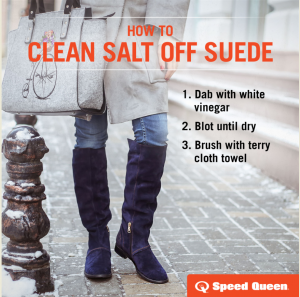 In this article, you will learn the main ways of cleaning suede. Suede can easily lose its softness, its uniformity and especially its fluffy feel when it is badly maintained. Admittedly, it is a material which stains very quickly, but a few simple and natural precautions are sufficient to preserve suede in good condition. Whether it’s a pair of shoes, boots, a bag or a jacket, you can clean suede with a crepe brush or a rubber to dust off most of the dirt. This also keeps the suede velvety. 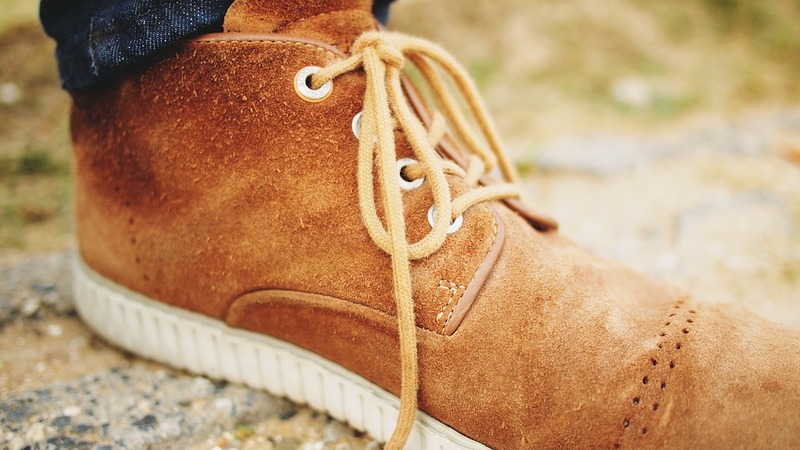 Are your suede shoes and accessories rather dirty? You can use white vinegar to remove fatty stains and white marks. To do this, dip a toothbrush into white vinegar mixed with warm water (add a drop of washing up liquid), then gently brush. Rinse gently with a well wrung out sponge: simply wet the surface. Then, wipe the treated part with a clean cloth before leaving to dry in a shady place in the open air. If the vinegar does not have the desired effect you can try with ammonia mixed with a little water: gently brush the stained part. Then with a piece of clean linen, dry the suede and add a little talc. In organic stores, you can buy special talc for cleaning suede shoes: “Sommières’ earth”. This is a highly absorbent powder, very efficient in removing grease. You can then waterproof it with a renovating product which nourishes the suede and give it back its color. For a professional-quality wash, use one of our laundromats: Speed Queen machines are built using the same materials as the professional washing machines you find in industrial laundries and luxury hotels.